One of my favorite things about living in the burbs is our (private) outdoor space. We have just over two acres and a large variation of trees, bushes, and flowers that we&apos;re now just learning the names of and how to care for. 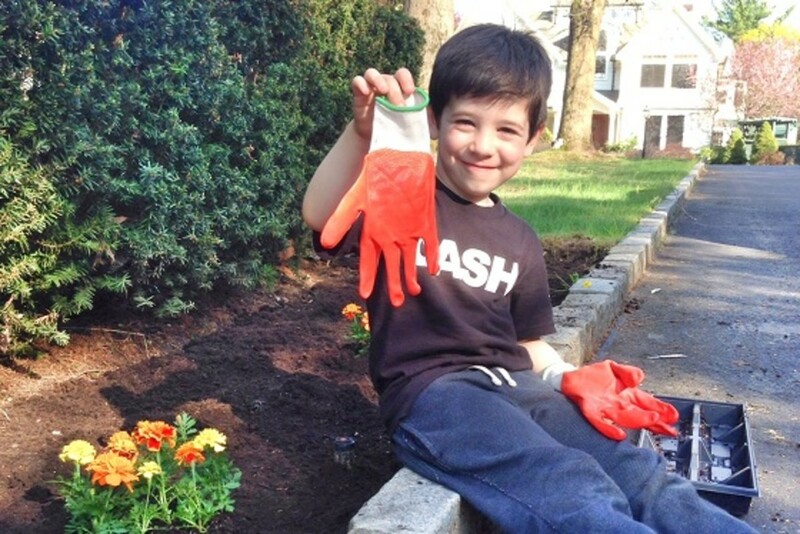 Sebastian excitedly told us he&apos;d been planting vegetables at school and while I&apos;m not that ambitious quite yet, we did make a couple of trips to the nursery to replace some top soil (18 bags to be precise) and plant flowers at the entrance of our property. We have a major deer sitch up here (as well as insatiable bunnies) so we&apos;re limited as to what we can plant and expect to still be here in the morning. 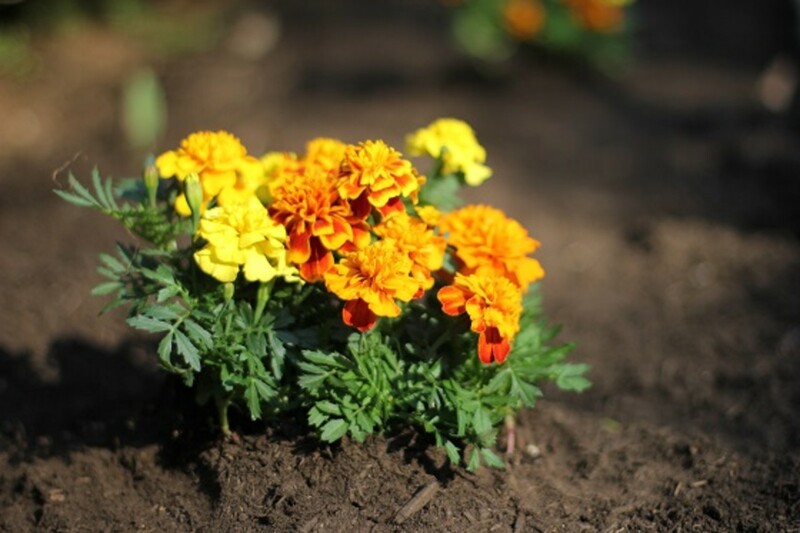 It took us two sunny afternoons of planting but we succeeded in getting a bunch of marigolds in the ground. They can handle the sunny spot and will supposedly last all summer. The deer don&apos;t like them, nor do insects so they seem like a good fit for us. Sebastian had a blast and I think I might be up for some more gardening. Research what flowers will thrive in your garden based on climate and access to sunlight. Flowers and seeds are labeled to include care information like the amount of sunlight they can withstand but nurseries can be overwhelming if you&apos;re a first-timer. Gather ideas ahead of time, even if you&apos;re just making note of what flowers you see doing well your neighborhood. Be prepared for a workout! Gardening is back-breaking work. From hauling soil to squatting and bending over. I was sore for days! Get yourself some basic supplies to help with the job. Coming from the city, we don&apos;t have much in the way of garden supplies but I did buy myself some gloves to avoid getting dirt under my nails and a little shovel. 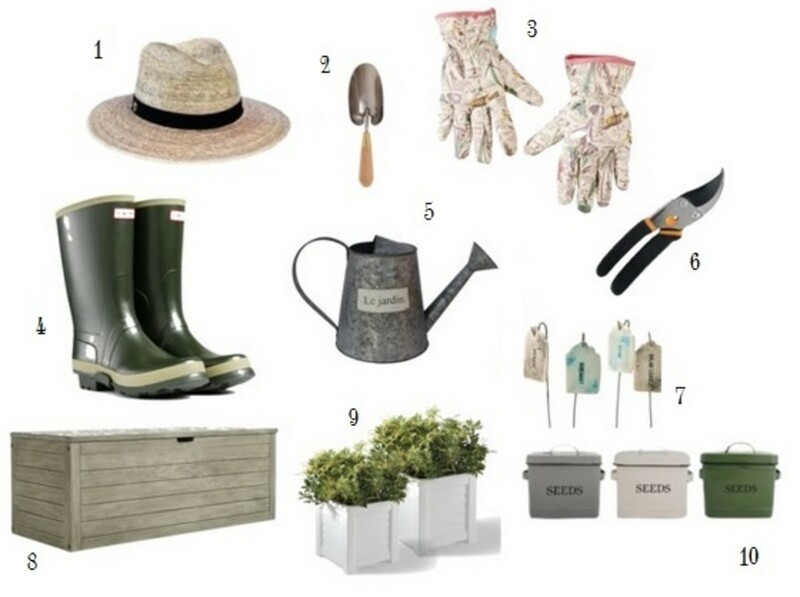 Surprisingly, little else is needed for a small planting job. Wear sunscreen/a hat/long sleeves. We spent two afternoons planting and were in the sun the entire time. Even with sunscreen I got color (and some new freckles). Have bug spray on hand. Fortunately, the mosquitoes aren&apos;t in full force yet but in about a month from now I wouldn&apos;t dare go in the yard without it. I still have scars from bites last summer. My derm said as we get older it takes longer for them to fade. Follow Jill Seiman&apos;s board Glam Gardens on Pinterest.